Cardiorespiratory fitness in early adulthood significantly decreases the chance of developing high blood pressure and diabetes — both major risk factors for heart disease and stroke — in middle age, according to a new study supported by the National Heart, Lung, and Blood Institute (NHLBI), part of the National Institutes of Health. Fitness also reduces the risk for the metabolic syndrome, a constellation of factors that includes excess abdominal fat, elevated blood pressure and triglycerides, and low levels of the high-density lipoprotein, the “good” cholesterol. Further, improving fitness in healthy young adults can cut by as much as 50 percent the risk for diabetes and the metabolic syndrome. The research is the first, large observational study to look at the role of fitness on healthy young adults’ development of risk factors for heart disease. Prior studies had examined the relationship between fitness and death from heart disease and stroke. It’s findings appear in the December 17, 2003, issue of The Journal of the American Medical Association. The study was done by researchers at Northwestern University in Chicago, Nemours Cardiac Center in Wilmington, DE, the Kaiser Permanente Division of Research in Oakland, CA, the University of Minnesota School of Public Health in Minneapolis, MN, and the University of Alabama at Birmingham. Heart disease and stroke are the first and third leading causes of death for Americans. Nearly 13 million Americans have heart disease and nearly 5 million have had a stroke. Data came from the Coronary Artery Risk Development in Young Adults (CARDIA) study, which began in January 1984 and ended in December 2001. 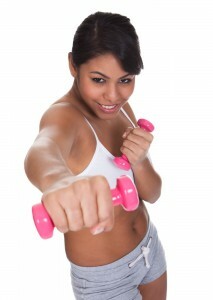 The fitness study involved 4,487 black and white men and women, who were ages 18 to 30 at the time of their enrollment. They participated through four clinical centers – in Birmingham, AL, Chicago, IL, Minneapolis, MN, and Oakland, CA. Birmingham also served as the study’s Coordinating Center. All participants were followed for 15 years, but 2,478 of them had their cardiopulmonary fitness tested again after 7 years in order to measure changes in fitness. Cardiopulmonary fitness was measured with an exercise treadmill test, which included up to nine, 2-minute stages of progressive difficulty. Women were classified as “low” in fitness if they completed less than 6 minutes of exercise and men if they completed less than 10 minutes. Women who completed 6-9 minutes of exercise were classified as “moderately” fit and men if they completed 10-12 minutes. Those who completed more exercise were classified as “highly” fit. Results were the same for black and white adults, as well as men and women. Those who were low or moderately fit had twice the risk of high blood pressure, diabetes, and metabolic syndrome as those who were highly fit. Moreover the risk increased directly as fitness level dropped. Weight gain was inversely related to fitness over the course of the study. Of those who retook the treadmill test after 7 years, the average weight gain was about 15 pounds. The average weight gain after 15 years was about 28 pounds. Those who were obese tended to be less fit: Of those who were obese, 68 percent were low in fitness, 29 percent were moderately fit, and 4 percent were highly fit. Of those who were not obese, 13 percent were low in fitness, 36 percent were moderately fit, and 51 percent were highly fit. Fitness did not protect those who were highly fit and obese at the start of the study from developing diabetes or the metabolic syndrome later in life.